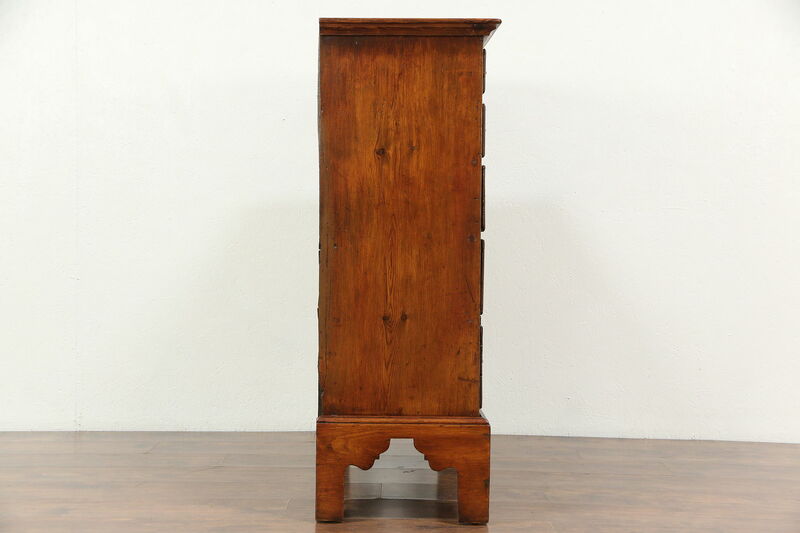 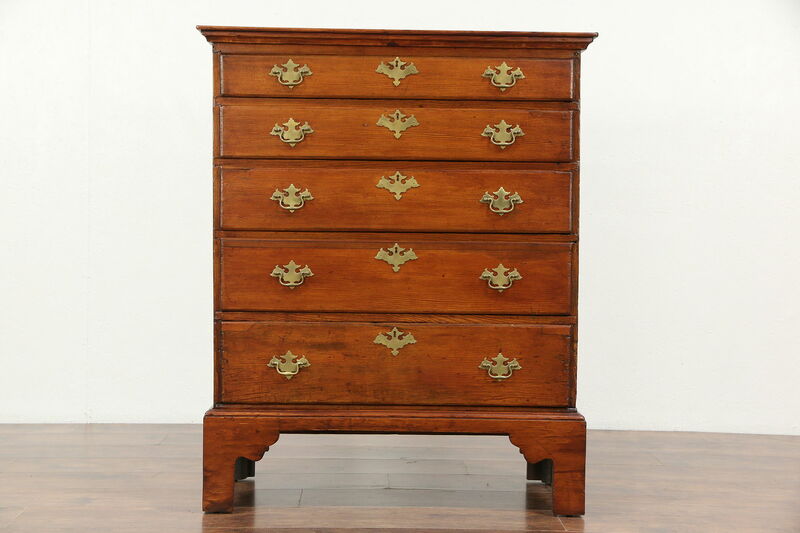 A hand crafted country pine chest or dresser from about 1790 has wonderful warm antique patina, and was said to be from New England. 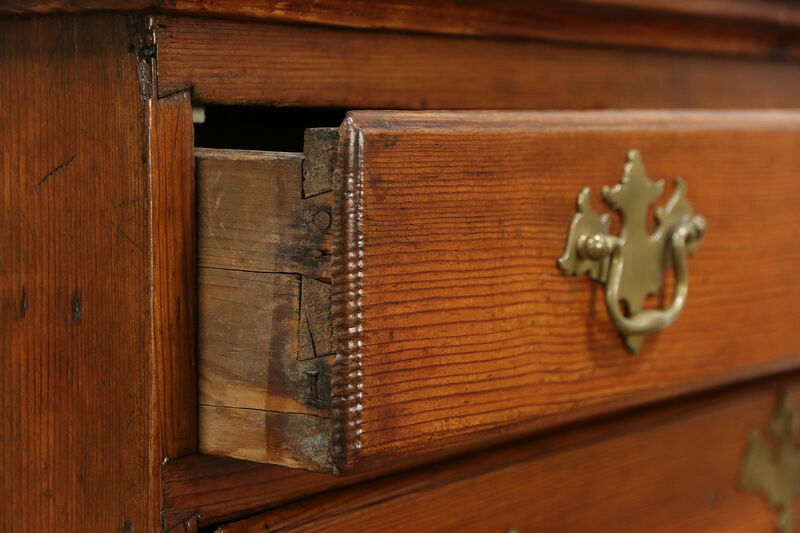 Five graduated drawers have hand cut dovetail joints and chamfered bottoms. 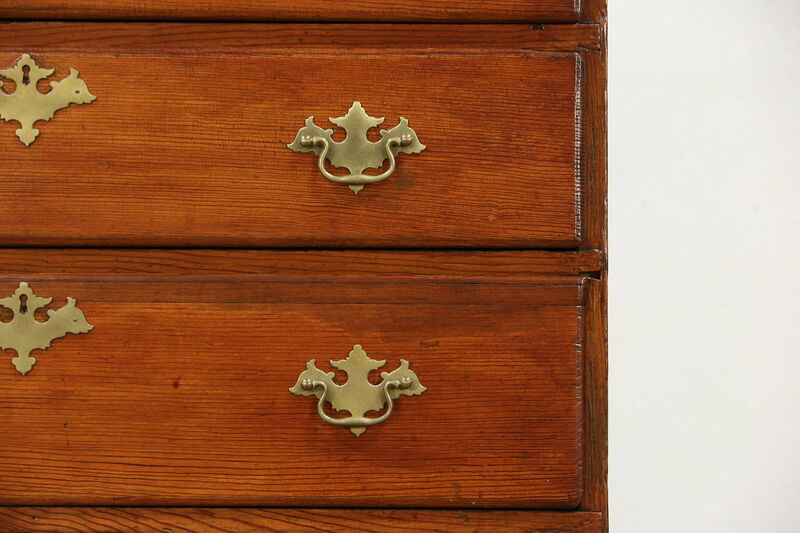 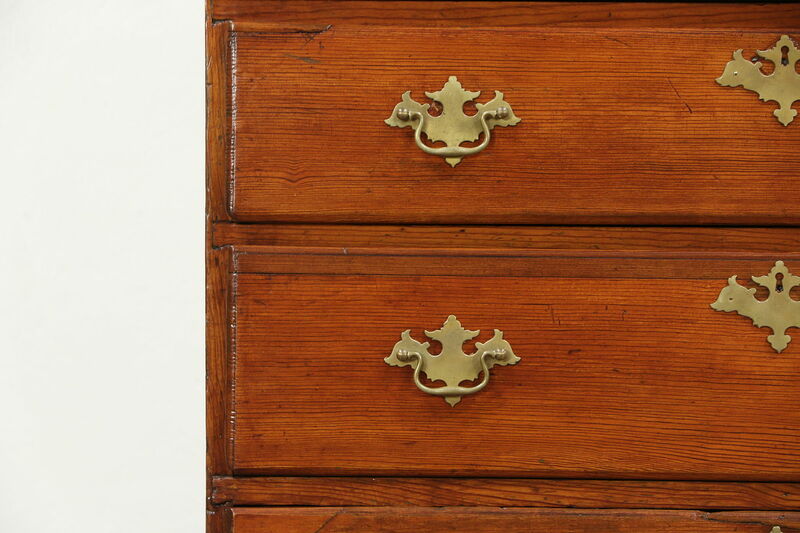 The restored finish is in excellent condition, preserving loads of mars and stains for antique character. 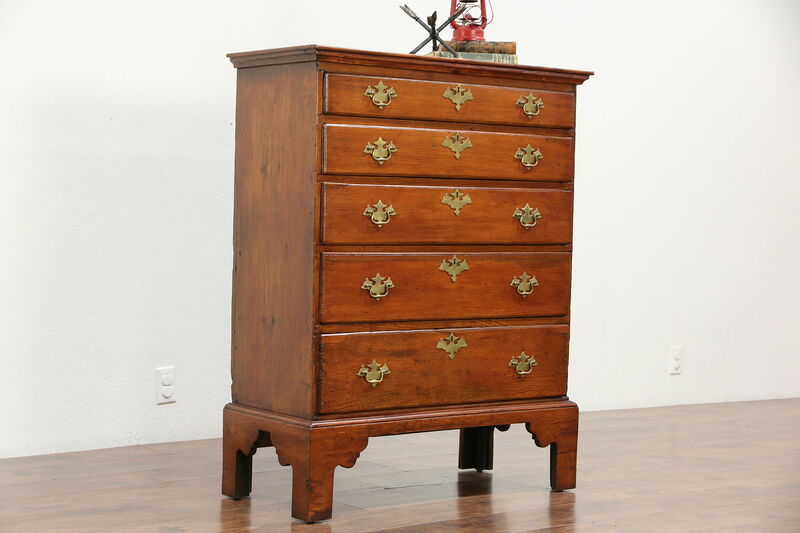 American made furniture, the base was rebuilt many years ago. 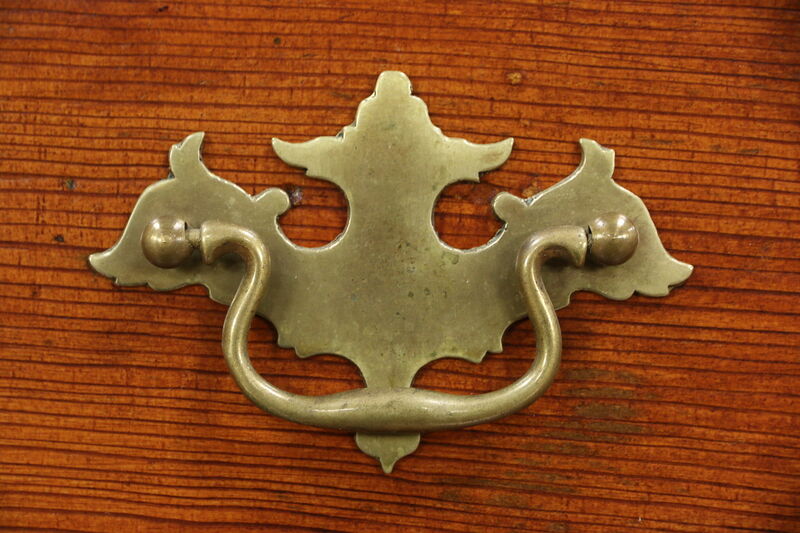 Brass pulls are well over 100 years old, but not original. 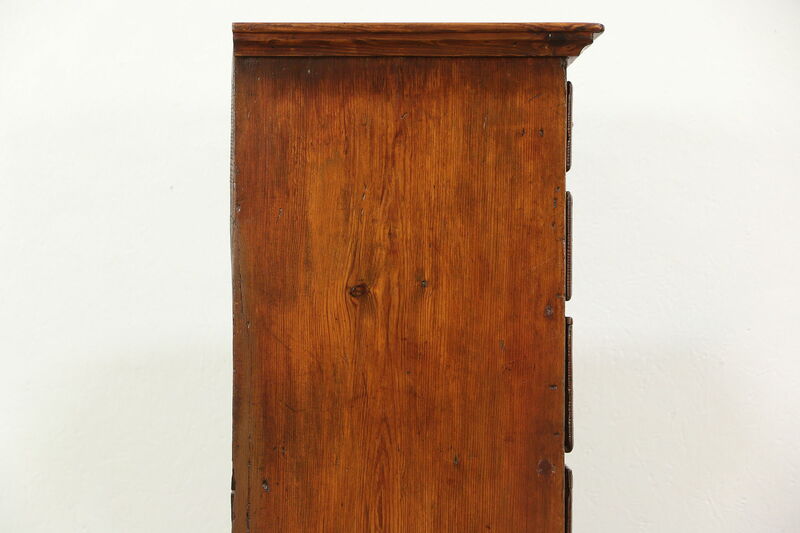 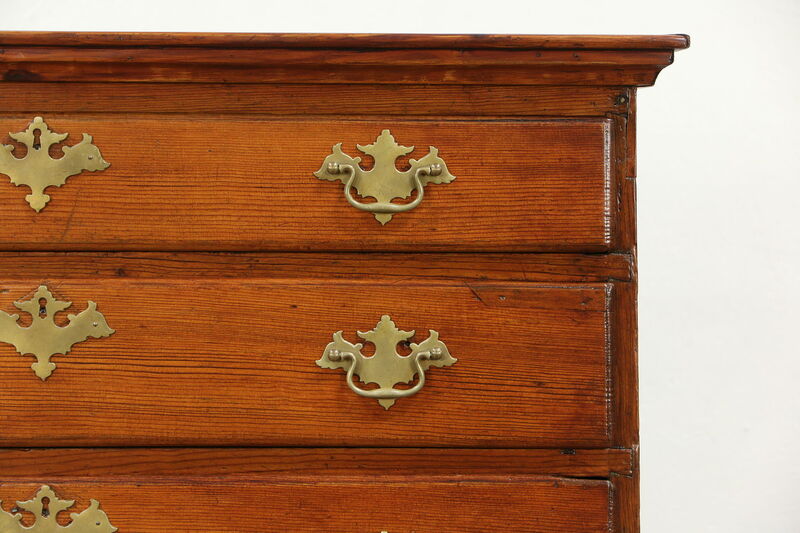 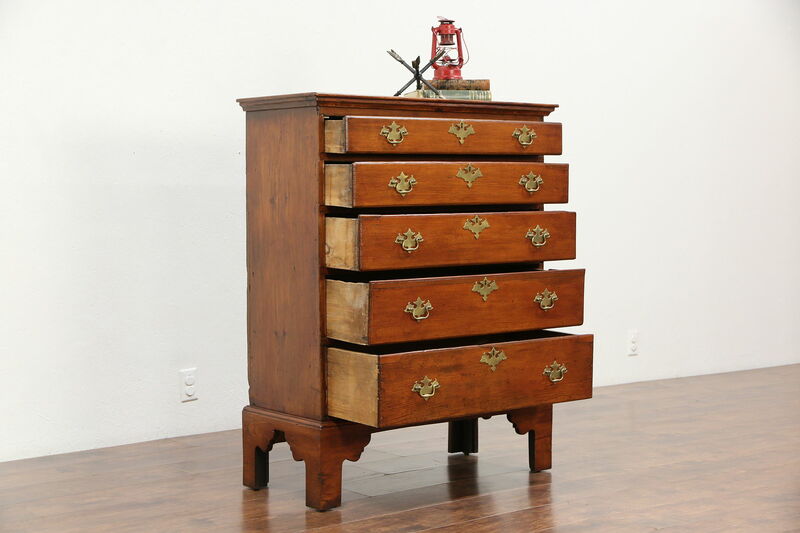 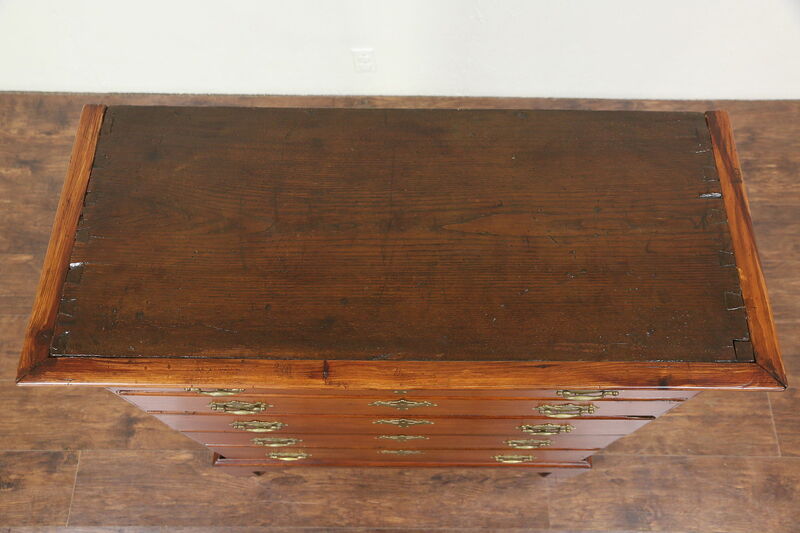 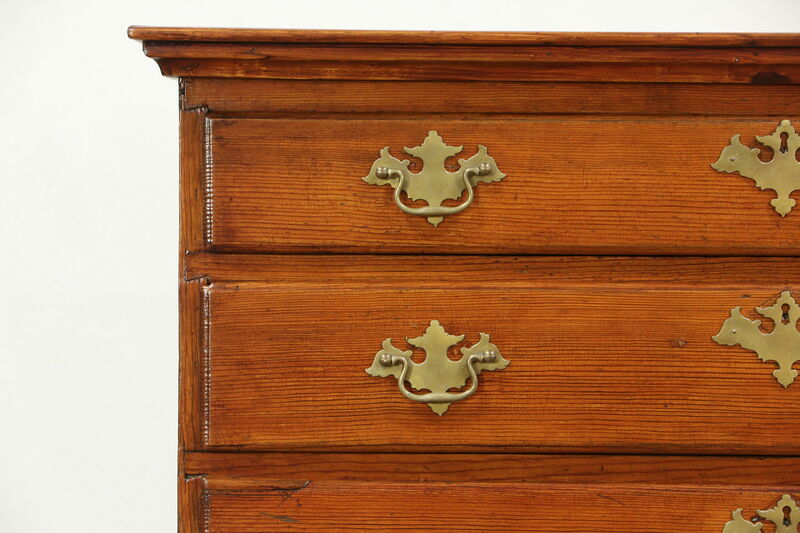 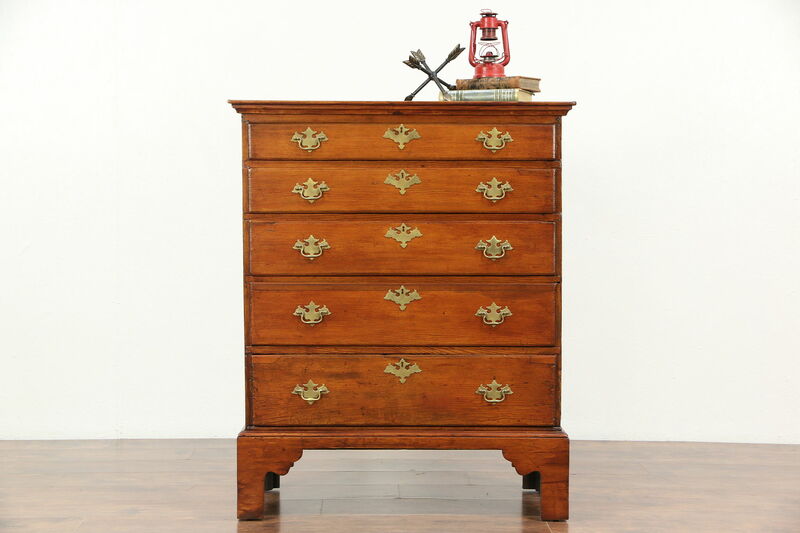 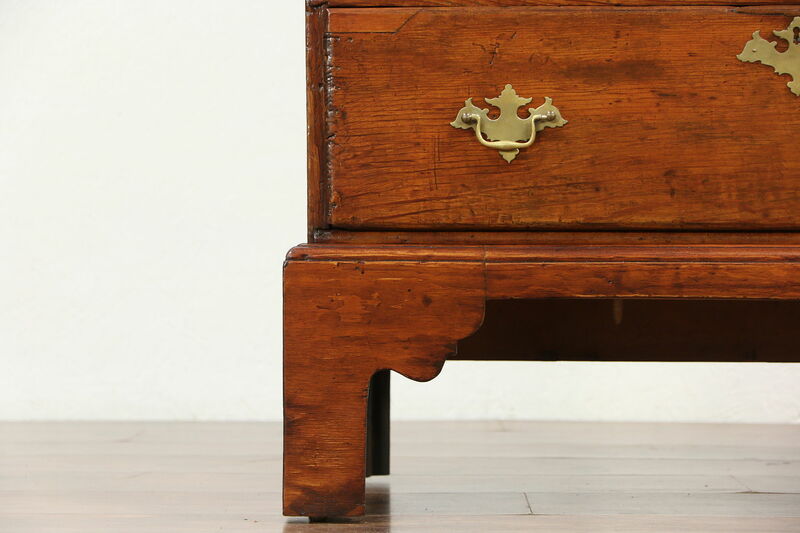 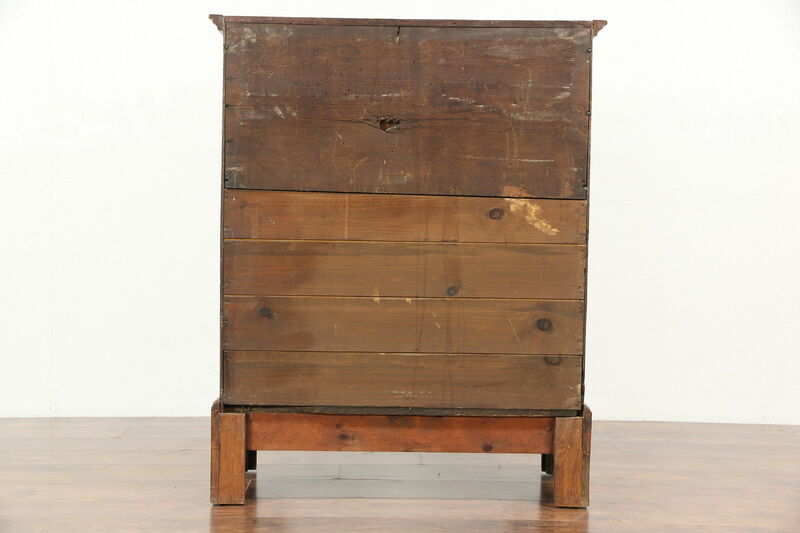 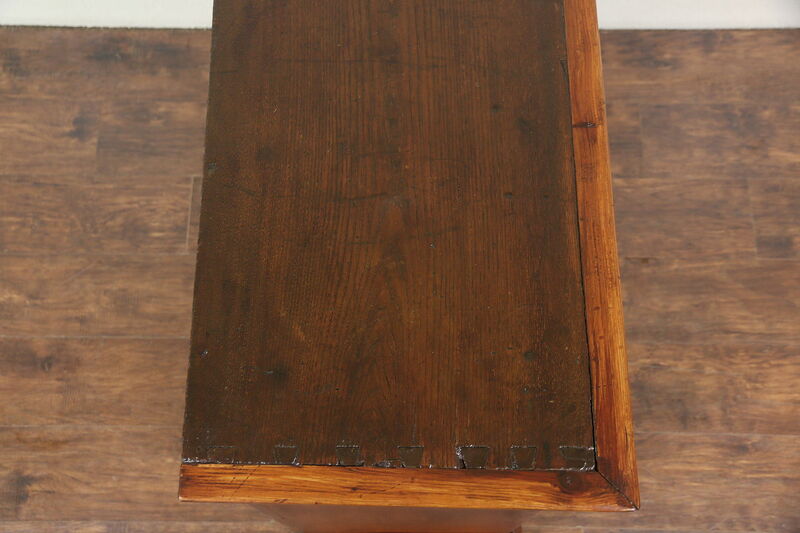 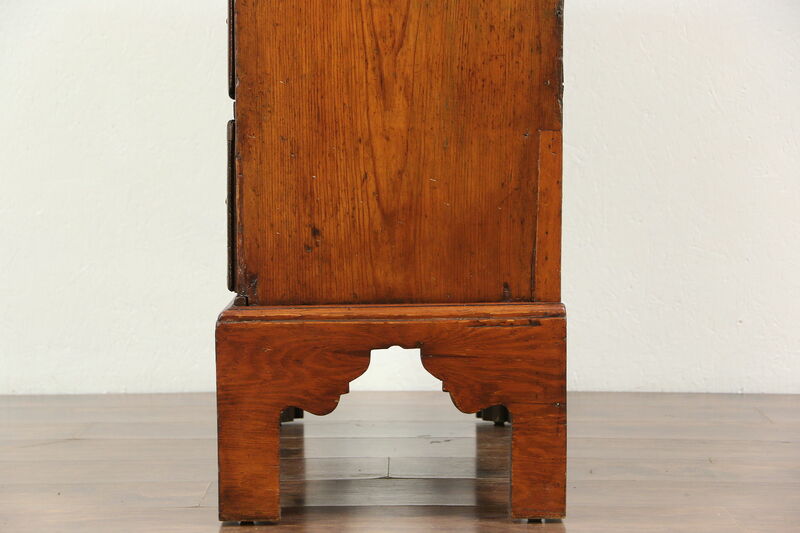 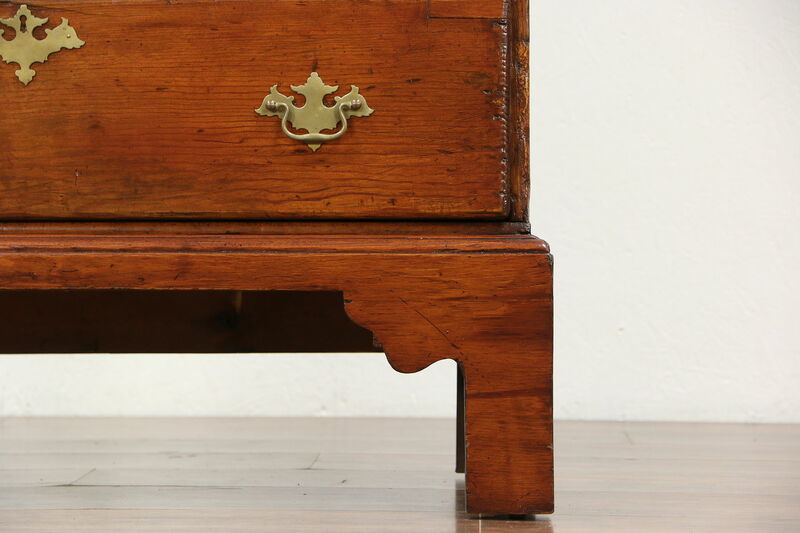 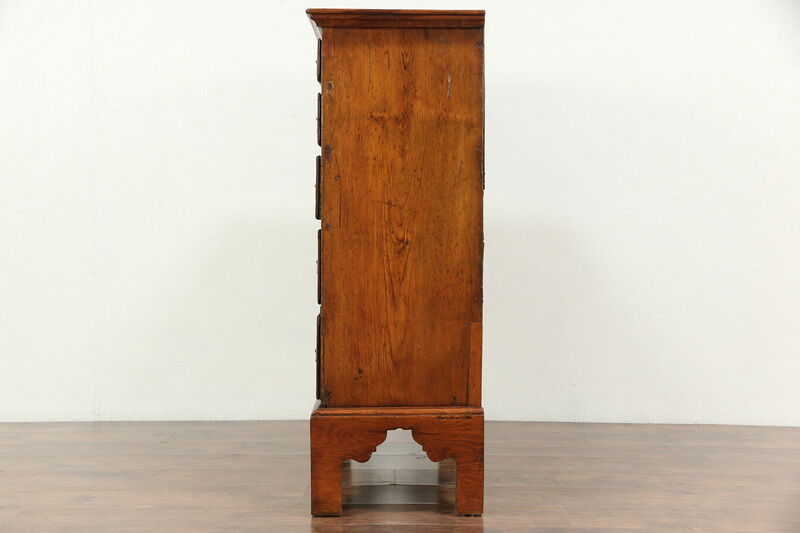 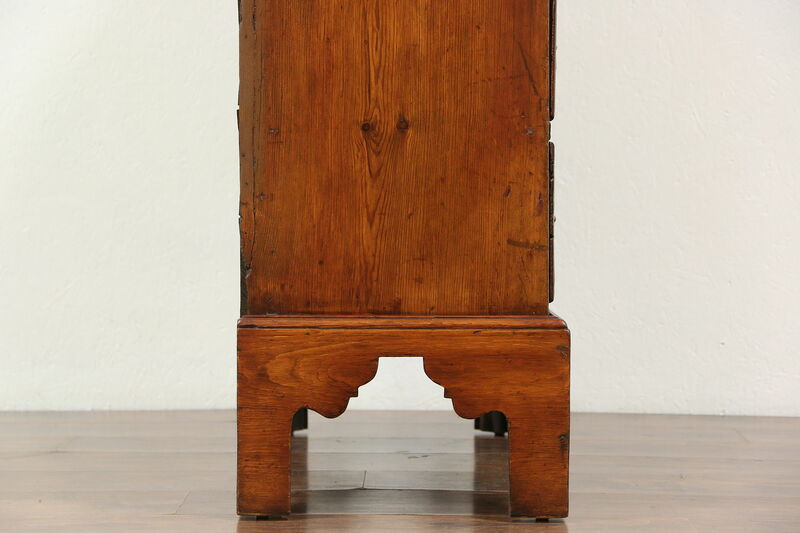 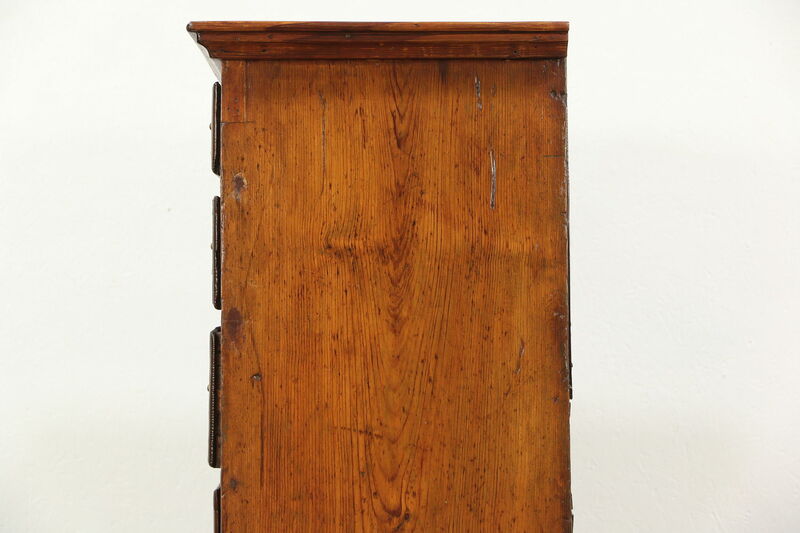 The top has exposed dovetail joints connecting the sides and top of this charming chest. 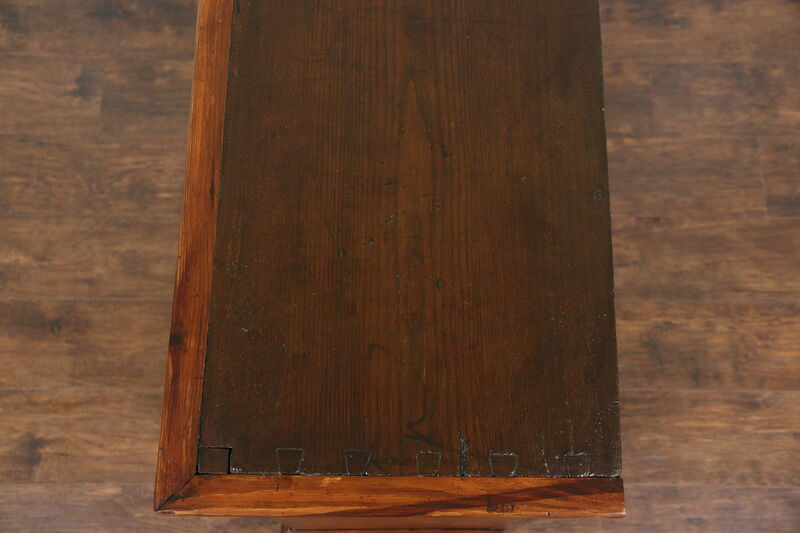 Measurements are 38" wide, 16" deep and 46 1/2" tall.